GET INVOLVED: Who has done the best business in the transfer window? Well, it's been emotional but another Sportsday is complete. Thanks to all those who read or joined in, or so much as glanced at us while fiddling with their mobile during a quiet moment at work. Sportsday is back at 08:00 BST on Wednesday - see you then. Alberto Contador took control of the Spanish Vuelta after former leader Nairo Quintana crashed and lost valuable time during Tuesday's 10th stage won by Tony Martin. Alistair Cook looks as miserable as sin as he gives his post-match interviews after England's one-day trouncing against India at Edgbaston. "It is tough to lose three games, especially in the manner we have lost them. We haven't played anywhere near our potential and there is no excuses for that," said the England skipper. "India have outskilled us. They've bowled, fielded and batted better than us. It is a hard place to be at the moment but we've got to stay true to ourselves and work really hard. That's what we did in the Test match series and we turned it around." Bill Shankly OBE, one of the greatest British managers of all-time, would be celebrating his 101st birthday were he still alive today. A Scottish international as a player, Shankly went on to transform Liverpool from Second Division club to winners of three First Division Championships, two FA Cups, four Charity Shields and one UEFA Cup. He retired after Liverpool won the 1974 FA Cup Final and died seven years later, in 1981, at the age of 68. Mr Shankly, we salute you. Many thanks for your thoughts from the BBC Sport Facebook page about the make-up of the European Ryder Cup team. Davie Brown: Donald has not done enough. Poulter is Mr Ryder Cup. Gallacher would have qualified every other year until we decided we want three picks and is also the form man. Westwood is too experienced in these matches to leave out. Good call McGinley. David O Rourke: Poulter and Westwood are magnificent in the Ryder Cup, especially Poulter. Sarah Ralston: Good choices. So pleased for Steven Gallacher, he has earned his place. Geoff Croft: Is Gallacher the token Scot? Would he have been picked over Donald had it not been at Gleneagles? I wonder. West Ham's Sam Allardyce is another manager happy with his transfer business. He completed his ninth and final signing of the summer yesterday with the acquisition of France international Morgan Amalfitano from Olympique de Marseille. Hammers' website. "As everybody knows, we're trying to play a more expansive game. We have signed a lot of players and we hope they bed in now. Hopefully they will get better and better as quickly as possible." Hull City were one of the main movers on transfer deadline day and manager Steve Bruce is delighted with the "fantastic business" done. "There is a real trust there between them and me and the supporters that we're going to do the best that we possibly can. They have proved that again with what we've been able to do in this transfer window." India win the one-day international series against England after storming to a nine-wicket victory at Edgbaston. Ajinkya Rahane made 106 and Shihkar Dhawan won the match with a six to finish on 97 as India overhauled England's paltry 206 with 117 balls to spare. It puts India 3-0 up in the series with the final match at Headingley on Friday. Martin O'Neill is relishing the task of leading his Republic of Ireland team in earnest for the first time. After Wednesday's friendly against Oman in Dublin, the 62-year-old takes charge of his first competitive fixture - Sunday's opening Euro 2016 qualifier against Georgia in Tbilisi. "We want to start as strongly as we possibly can and try to get some points on the board if it's at all possible in a group that's going to be tight," said O'Neill, who has had to wait 10 months for the first meaningful match of his reign to come around. Celtic and St Johnstone have been fined by Uefa for fans displaying Palestinian flags during European games. St Johnstone received a £14,300 fine, which also includes a sanction for "insufficient organisation", while Celtic were fined £15,900 for their fans displaying what Uefa described as an "illicit banner". Norway defender Vegard Forren has branded England captain Wayne Rooney "a bit chubby" ahead of the friendly on Wednesday night. Norway are placed 53rd in the Fifa world rankings, 33 spots below England. Jack Colback might not be the only England player sitting out tomorrow's friendly against Norway - Arsenal new boy Danny Welbeck is a doubt after sustaining a knock in training. "Unfortunately in training today he received a knock in the session," said boss Roy Hodgson. "I would be very disappointed if he could not play because of what happened with the last kick of the session." We told you earlier that Manchester United midfielder Tom Cleverley was heading to Aston Villa on loan until the end of the season, subject to Premier League approval, and that confirmation has now arrived. tweeted: "We have signed midfielder Tom Cleverley from Man United on a season-long loan. Welcome Tom." fourth one-day international at Edgbaston. The tourists are 150 without loss after 25 overs, needing only 57 more to win. losing to Zimbabwe on Sunday. Despite 126 from Faf du Plessis containing eight fours and six sixes, South Africa were all out for 220 after 44 overs. Olympic track cycling champion Laura Trott has left the Wiggle-Honda road racing team and signed for British outfit Matrix Fitness Vulpine. Trott, 22, who won omnium and team pursuit gold at London 2012, will be the lead cyclist with her new team, having previous played a supporting role. Former England wing James Simpson-Daniel, who won 10 caps between 2002-2010, has announced his retirement with immediate effect due to injury. horrific ankle injury against Newcastle Falcons at Kingsholm. "I know that I've given it everything and I can't praise the Gloucester Rugby medical staff highly enough," he said. "I don't think it's really sunk in yet to be honest. But I've had a really good trot, I can't have any complaints. I've got so many fantastic memories from my time in the game." England batsman Ian Bell has suffered a "small fracture" in his left big toe, the England and Wales Cricket Board confirms. Bell was hit while batting against throw-downs before today's fourth one-day international against India at Edgbaston. The injury will be assessed before the fifth and final match of the series at Headingley on Friday. Michael Vaughan on Twitter, summing up the woeful situation with the England one-day team. "The New England ODI flag.." he writes. Manchester United signed from Real Madrid for a British record transfer fee of £59.7m, he says: "He is obviously a very talented player. "He has played in the World Cup, won the Champions League, but my advice to him wearing the number 7 is enjoy it because wearing that shirt is without a doubt one of the proudest moments I have had in my career." At the risk of tempting fate, India look on course to cruise to victory in the fourth one-day international at Edgbaston. They are 70-0 after 12.5 overs, in response to England's effort of 206 all out in 49.3 overs. Shikhar Dhawan is 30 not out, Ajinkya Rahane 34. An India win means they will wrap up the series. Let's be honest, any other outcome at this point would be a surprise of epic proportions. Ivory Coast will host their African Nations Cup qualifier against Ebola-affected Sierra Leone this weekend following a special meeting of the country's national security council. The announcement follows reassurances from the Sierra Leonean Football Association that none of the 20 players or four staff members in its entourage has visited Sierra Leone in the last 21 days, the incubation period for Ebola, with 935 cases of the deadly virus confirmed in Sierra Leone as of 29 August, including 380 deaths. Earlier we asked you which seven non-Englishmen have been captain's picks for Europe at the Ryder Cup. The answers are: Clarke, Colsaerts, Garcia, Harrington, Molinari, Montgomerie and Parnevik. Scotsman Stephen Gallacher is now on to the list too of course. Here are more of your thoughts about the European Ryder Cup team. Keep your opinions coming to #bbcsportsday, and BBC Sport Facebook. Rian Hoskins: Risk choosing Stephen Gallacher due to inexperience, but he is on good form. Westwood and Poulter will step up their game for the Ryder Cup. Richard Murphy: Westwood doesn't deserve a pick, rank all season and Donald is unbeaten in Ryder Cup. tweeted this photo of himself and new Arsenal team-mate Danny Welbeck, saying: "Big welcome to my boy Welbz. Great player for a great club. Another English lad!" Former England forward Adrian Morley, the oldest player in Super League at 37, will play on for Salford in 2015 but has handed the captaincy on to team-mate Harrison Hansen. Wayne Rooney, on how he isn't glued to the television screen on transfer deadline day: "It is interesting to see which players are going where but I'm not one to sit in front of the TV for hours and watch which players are coming in and going out of clubs. "It is easier to find out the next day who has gone where." True Wayne, but not as much fun. surely? Wayne Rooney on England's style of play: "It's exciting times. The Italy game and the Uruguay game [at the World Cup] were really disappointing results but I thought we did well in both games. We showed some great signs of great attacking football and the lads have hopefully gained some vital experience and we can go out and play some attractive football." Roy Hodgson on Danny Welbeck's move to Arsenal: "The biggest bonus is for Danny Welbeck. When you are a player of his calibre and find yourself at United with competition for places, you don't always get the starts you would like. "He is going to a club where he will hopefully get more starts and playing time. "It is not easy for players playing a small part in club games, then coming and playing 90 minutes for England in intense surroundings. "So I am pleased for Danny and I think Arsenal have signed a good player. "But my job is with England and the players I choose. I don't wish to make any suggestions about what clubs do with their players. But I cannot deny the more players play and the more experience they get, especially at Champions League level, the better it is for me at international level." More from Roy Hodgson on the expected low attendance at Wembley: "I've been lucky that we've played in front of full houses and it will be a new experience tomorrow but, as Gary Neville has pointed out, there were times when he was playing where they got 25,000, so let's keep things in perspective. "We are very grateful to the people who supported us in Brazil and who comes tomorrow. We have to make sure we do re-engage with the public." "I am very calm about what's going on. I think we have enough players. I just have to accept, and our nation has to accept, that some of our players will be selected on benches, which was unthinkable five to 10 years ago but it is the world we live in. "The standard in the Premier League, with some of the players being signed, we are becoming a magnet for the best players in the world. It could be advantageous for English players who become top players in their team." Wayne Rooney on the expected low attendance at Wembley: "I still think the crowd is going to be good, around about 40,000, and if you look around Europe it's still one of the highest there is. "Obviously it is a bit lower than normal but we expected that, the World Cup was disappointing and it's a backlash from that. We want to make sure the crowd know we are giving everything we can to win the game tomorrow and on Monday [the first Euro qualifier against Switzerland]." "I don't know how Falcao's arrival could affect my role. I think it is a fantastic signing. He is one of the best players in the world. It is a real show of intent by Manchester United. "It is a thrill. We have an exciting team. I am looking forward to the challenges ahead and I want it to be successful." More from Wayne Rooney: "It's a great honour to captain my country and I want to be a successful captain. I'm sure all the team want that, we're working hard to try and get there and tomorrow is the start of a new chapter. Last summer we were all disappointed, we went in with high hopes, we were expecting better but we have to move on, there is no point looking back. We've had retirements but young players coming in and it's exciting." New skipper Wayne Rooney, ahead of England's friendly with Norway: "I will be myself in the captain's role. I am always very demanding of myself in what I expect. Playing for your country, every player has to give their all. "I have worked under some fantastic captains in the past and I've watched how they have adapted to the role. "I'll try and take the qualities they have and add my own ingredients in." More from England coach Roy Hodgson: "It's been very good, we've only been together since Sunday evening but we seem to have crammed an awful lot in with our meetings and training sessions I get get the feeling the players cant wait to kick off this new campaign. We would like to get that feel good factor but we are still aware the two-year journey is a longish one and will see a lot of changes." 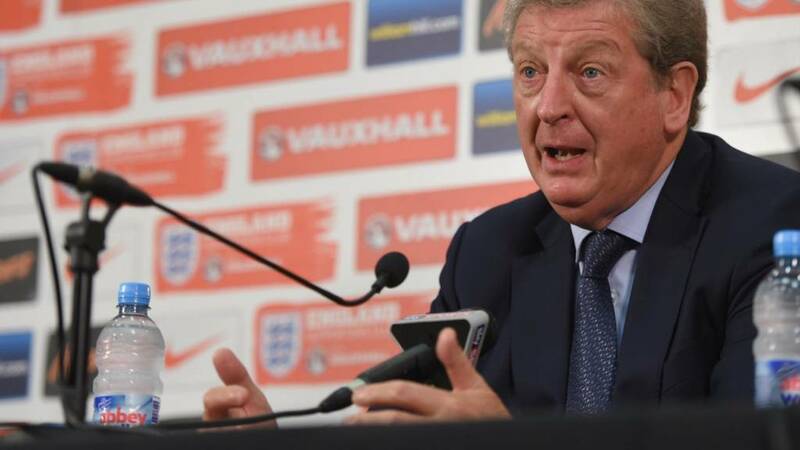 England manager Roy Hodgson, speaking ahead of Wednesday's friendly with Norway: "All but one of the squad are fit. Jack Colback is out of the game tomorrow. The starting line up will be a young one. It will contain some interesting talents and has enormous potential. Former Manchester United chief executive David Gill, the Football Association vice-chairman, is understood to have told senior figures at the FA it is "very unlikely" he will allow his name to be put forward for the British Fifa vice-presidency. Northern Ireland's Jim Boyce, the current British Fifa vice-president, is due to step down next May and insists that, for family reasons, he will not change his mind. We are asking you whether you agrees with Europe captain Paul McGinley's Ryder Cup picks. Here are a few of your thoughts, please keep them coming to #bbcsportsday and BBC Sport Facebook. Chris Moores: On current form Lee Westwood, Ian Poulter and Stephen Gallacher are the right picks. Who can argue? Paul Britney: Skip got it spot on. The three perfect picks. We will steamroller the US. Paul Jones: Gallacher is a man in form. Poulter's record speaks for itself, and Westwood brings experience. Gareth Bingham: Would rather have had Donald instead of Westwood but doesn't weaken the side significantly. The British Horseracing Authority has decided not to grant an exemption to Newcastle Racecourse for 2015, which was necessary for the course to stage fixtures under floodlights at its proposed converted All Weather Track towards the end of next year. Adam Lyth and Adil Rashid have established a new sixth-wicket partnership record for Yorkshire on day three of the Roses match against Lancashire at Old Trafford. They surpassed the 276-run stand by Maurice Leyland and Emmott Robinson against Glamorgan at Swansea in 1926, while Lyth has also beaten his previous career- best score of 248 not out. Mohamed Diame, who joined Hull from West Ham on deadline day, has spoken about how he can't wait to get started with his new club once he returns from international duty with Senegal. Hull website: "I'm very excited to be here and I have been waiting for this moment to sign. I want to thank the manager and the owners for showing belief in me and now I will make sure I repay that faith on the pitch. "It's a new challenge for me and one that I am looking forward to. I want to play football and Hull City do it very well." Maybe this is a good omen - Diame bagged his first goals in English football at the KC Stadium while playing for Wigan in January 2011. Ipswich boss Mick McCarthy is celebrating after hanging onto his key players on deadline day. The Championship club rejected a bid from Leicester for striker David McGoldrick, while Crystal Palace were knocked back with an offer for defender Tyrone Mings. club's website: "The transfer window passed with a whimper and I'm delighted." Just to compound matters for England supporters, Australia made 282-7 from their 50 overs against South Africa in the triangular series in Harare, with 22-year-old Mitchell Marsh, in his eighth ODI, firing an unbeaten 86 from 51 balls, with five fours and seven sixes. More from David Beckham's interview with the BBC and, asked about the lack of home grown players at Manchester United, he says: "Manchester United have always bought players in but we have also had a great scouting system which Sir Alex Ferguson put in quite a few years ago where we did create young talent - and home grown talent - and that is something we have done over the years. "I am not a manager, I am definitely not Manchester United manager. I think Louis van Gaal is a talented manager, he is well respected and with Manchester United this is a project which will hopefully last for a few years and be a successful one. Hopefully we have still got young players coming through." England are all out for 206 in the final over of the fourth one-day international at Edgbaston. Moeen Ali top-scored for the hosts, who were put in by India, the left-hander making 67 from 50 balls with four fours and three sixes. text commentary on the BBC website. Legendary Australia paceman Glenn McGrath is to help groom the next generation of Indian pace bowlers. The Chennai-based foundation he heads has signed a five-year deal which will see McGrath - who took 563 wickets in Tests and 381 in one-dayers - train India's current and upcoming fast bowlers during his visits to the country. "I eagerly look forward to working with India's best at the foundation," the 44-year-old said. Lee Westwood, who has been on the winning team in six of his eight Ryder Cup appearances, says Europe has a "really strong side" this time around. Reacting to his selection by captain Paul McGinley, Westwood tells Sky Sports: "It is a big honour and I was pleased to get the call from Paul. "I feel for those who missed out. If I hadn't got picked I would have been disappointed but what can you do? You haven't played your way on to the team. "We will have a really strong side. I think Paul has picked me for my experience. I have played under eight different captains and pretty much seen all it can throw at you." After being picked in the Ryder Cup team by Paul McGinley, Ian Poulter tells Sky Sports that he "can't wait" to get there. "I think the guys with the experience can help the rookies to make it an unbelievably strong team," Poulter said. "We are so close. The European team bonds so strongly. "I can't wait to get there and spend time with some of the rookies, share experiences of previous Ryder Cups, and make them feel at home on the course." We are about to hear from England boss Roy Hodgson but during the course of the afternoon we will bring you our pen pictures of the European Ryder Cup team. So now we know the European Ryder Cup team. But do you agree with captain McGinley's three wildcard selections - Gallacher, Poulter and Westwood? Please send in your thoughts to #bbcsportsday and the BBC Sport Facebook page. tweeted: "So chuffed for Stevie G. Always had the talent, now a Ryder cup player. Made up for him." Lawrie added: "It's all about opinions but personally I think captain McGinley got all three picks correct. But must have been close between Westy/Donald." Rory McIlroy: Age 25. Caps 2. Record Won 4 Lost 3 Halved 2. Majors 4; Henrik Stenson: Age 38. Caps 2. Record W2 L3 H2. Majors 0; Victor Dubuisson: Age 24. Caps 0. Majors 0; Jamie Donaldson: Age 38. Caps 0. Majors 0; Sergio Garcia: Age 34. Caps 6. Record W16 L8 H4. Majors 0; Justin Rose: Age 34. Caps 2. (2008, 2012). Record W6 L3 H0. Majors 1. Martin Kaymer: Age 29. Caps 2. Record W3 L2 H1. Majors 2; Thomas Bjorn: Age 43. Caps 2. Record W3 L2 H1. Majors 0; Graeme McDowell: Age 35. Caps 3. Record W5 L5 H2. Majors 1; Stephen Gallacher (wildcard) Age 39. Caps 0. Majors 0; Ian Poulter (wildcard) Age 38. Caps 4. Record W12 L3 H0. Majors 0; Lee Westwood (wildcard): Age 41. Caps 8. Record W18 L13 H6. Majors 0. England continue to struggle in the fourth one-day international at Edgbaston. After 41 overs, Alistair Cook's men are 169-6, with Joe Root (44) and Jos Buttler (11) the latest to lose their wicket. Not good, but on the bright side Moeen Ali is bang on form and has smashed a lively 48 from 34 balls. At the other end Chris Woakes is taking a bit more time to get going, on three from eight deliveries. Nine overs to make a game of it. Confirmation that Bastian Schweinsteiger is the new Germany captain has come from a pretty decent source - coach Joachim Low. But Schweinsteiger will have to wait a while to wear the armband - he will miss Germany's next two games because of a knee injury. "He has been there since he was eight, his heart was in Manchester. I am sure he is obviously sad to leave Manchester United. Arsenal have a very good, young, talented English player but to see him leave Manchester United, as a Manchester United fan, is obviously sad," said Beckham, speaking as an ambassador for Sainsbury's School Games which starts in Manchester on Thursday. Paul McGinley: "Stephen Gallacher's first words when I told him were 'that's brilliant wee man'. "Of course it's a concern for me to pick a rookie. But Stephen Gallacher has proved himself and earned his spot in this team. As a rookie you have to earn a little bit more to earn a pick. And I think Stevie did more than a little bit more. His performance last week had a huge effect on me. He really had to go some and he did." More from Paul McGinley on Luke Donald: "He was very disappointed. He is a former number one in the world. The first ever shot he hit in the Ryder Cup I was his partner. "He told me he publicly backed me to be the captain. Even though I hadn't picked him he told me he backed me and his last words were 'Go Europe'. I think that says a lot about Luke. He wasn't expecting (to be left out). He was very disappointed." Paul McGinley: "Excitement is the word. Stevie Gallacher I said 'go and have a drink to celebrate' and he said 'is that ok?'. I have played a home Ryder Cup and I know what it is going to feel like and how proud he will be. "With Lee [Westwood] there was a real sense of pride he had made another team, very gracious and very humble, and Ian Poulter is a bundle of energy, you can feel the energy coming down the phone." Paul McGinley on Luke Donald's omission: "It was a very difficult conversation with him for a number of reasons. My relationship with Luke is very close. He has played in every Ryder Cup I've been involved in apart from 2008 which we both missed. "I've partnered Luke twice in 2004 and 2006 and vice-captained him in 2010 and 12. I forged a very strong relationship with him. His Ryder Cup record is outstanding and he will no doubt go on to make many more appearances in the Ryder Cup. It was a difficult call but one I had to do in the interests of the European team." Paul McGinley on Stephen Gallacher: "His performance last week in Italy under the spotlight was huge." "I am a very lucky man," says captain Paul McGinley. "Some real quality players haven't made the team. It was a very difficult call. But on the positive side I think we have three players that will add a lot and make the European team as strong as it can be to take on the might of the Americans." Paul McGinley: "I am in a very privileged position. I had a variety of choices. It says a lot about the standard in Europe and how far we've come for me to have this abundance of talent to choose from." Stephen Gallacher, Ian Poulter and Lee Westwood are named as the three wildcards for the European team to play the USA at Gleneagles from 26-28 September. Eoin Morgan becomes the fourth England batsman to lose his wicket in the fourth one-day international at Edgbaston. The left-hander went for 32 and it is 103-4 after 28 overs. Joe Root, still there on 38, and has been joined at the crease by Jos Buttler. The Premier League will decide whether Tom Cleverley will be able to join Aston Villa on loan from Manchester United. The move for the 25-year-old was struck very late on Monday night and the matter has been passed on from the registration department for Premier League board approval. We have a live stream of European captain Paul McGinley's wildcard announcement on the website now. Liverpool striker Fabio Borini, who seemed set to join QPR in a £13m deadline move only for the deal to fall through, has taken to Twitter to explain, sort of, why the transfer didn't happen. posted: "Finally the madness is finished. I protected the man and the player that I am today, taking all the responsibility of the situation and for people who didn't want it. I m very happy with myself to have taken such an important decision." Great Britain and England have returned to Danny Kerry to lead the women's team through to the 2016 Olympic Games. Kerry guided the side to a bronze medal at London 2012 before taking over as performance director for GB and England. reporting that Bayern Munich midfielder Bastian Schweinsteiger, 30, is the new Germany captain, taking over from Philipp Lahm, who retired from international duty in the summer. Germany host Scotland in their opening Euro 2016 qualifying on Sunday - their first competitive match since lifting the World Cup in Brazil. Blackpool Gazette reporting that neither manager Jose Riga or chairman Karl Oyston were at the club "at any point" during the day. If fans thought things couldn't get any worse, they might want to rethink, with the Gazette also reporting that Riga's assistant Bart De Roover may have left the club. only eight players a fortnight before the season began. There is an hour to go before European captain Paul McGinley reveals his three wildcards for this month's Ryder Cup so let's spend that time looking at the five players thought to be in contention for a place. joined Valencia on loan for the rest of the season, posted the letter on Twitter. "I take with me many memories, lessons, and great moments that will live with me forever," added the 29-year-old. The Spanish international joined City last summer from Sevilla and scored 23 goals in his debut season to help the club win the Premier League title. qualification for next year's World Cup in Australia and New Zealand, has resigned, saying the job was putting too much strain on his family. "The simple reason is that my family was suffering from my being away on tours and I was not enjoying coaching," said the 40-year-old, who played four Tests and 10 one-day internationals for Pakistan. We're asking this morning who you think has done the best business in the transfer window. Please keep your thoughts coming in to #bbcsportsday and the BBC Sport Facebook page. Mr Lamide: How are Falcao and Di Maria panic buys? We are short of quality wingers and playmakers and we are also short of strikers. Andrew Priestley: Chelsea were the winners of the transfer window. They signed some great players and got them in early on so they could gel. Sam Burton: Liverpool have made some good signings but also sent players for the future out on loan to good team. Rodgers doing wonders! Tour de France winner in 2012 - will line up alongside fellow British riders Ian Stannard and Ben Swift as part of a six-man squad. "It is a special race for me," said Wiggins, 34. "It's always been a tough race but the support we receive from the fans is incredible, and it's our home tour so I've always enjoyed racing it. "The race is growing in stature year on year and it's our chance to go there with a strong team and race in front of home fans to thank them for their support over the season." tweeted: "I'm glad to welcome you, Danny. I wish you as much goals as possible!" said: "You will fit very well in our style. Let's go for it now." Real trouble for England against India at Edgbaston, Gary Ballance the latest man to fall, caught for seven. England now 23-3 after eight overs, needing to win of course to keep the one-day series alive. confirm the shirt numbers for new signings Daley Blind and Radamel Falcao. Blind will wear 17, with Falcao, as expected, pulling on the famous number nine jersey. Adam Matthews has become the third injury withdrawal from the Wales squad for their opening Euro 2016 qualifier in Andorra on 9 September. The 22-year-old Celtic defender follows Reading winger Hal Robson-Kanu and West Ham's James Collins in pulling out of Chris Coleman's squad. A statement from the Football Association of Wales said Cardiff's Declan John had been called up from the Under-21s to replace Matthews. Newcastle's Paul Dummett and Reading's Jake Taylor have already received late calls. England make a bad start at Edgbaston in the fourth one day international against India. In a game they have to win to keep the series alive, openers Alex Hales (6) and Alistair Cook (9) go in quick succession. England are reeling on 16-2 after five overs. defending his captain earlier in the week but things haven't gone to plan this morning. Joe Root and Gary Ballance now at the crease. Since 2002, which seven non-Englishmen have been captain's picks for Europe at the Ryder Cup? Answers for you after 14:00 BST. Australia captain Michael Clarke dismisses suggestion he might retire from one-day cricket after next year's World Cup on home soil. "The last thing I am thinking about is retiring," said the 33-year-old, who had to leave the triangular series in Harare with hamstring trouble. "I think I have had a really good run in the last 12 to 18 months and my back's been in really good shape." West Ham defender Joey O'Brien has withdrawn from the Republic of Ireland squad for Wednesday night's friendly against Oman in Dublin because of a knee injury. resignation of Beppe Sannino on Sunday. Twitter to say: "Happy and delighted with our squad for this season. We show our ambition!" Did you know Koeman is one of only two Premier League managers on Twitter? The other, on the off-chance you're interested, is Swansea boss Garry Monk. Stephen Taylor: I'm a Toon fan... Hull have signed some great players this window... Dawson... HBA... Ramirez from soton. Great business. Great ambition. Same rubbish from Newcastle as always. Chris Adams: Chelsea for Costa and Fabregas and Remy is a proven PL goalscorer so is great back-up to Costa and we can rest him whilst knowing we still have someone who can come off the bench and score, unlike last year. Danny Toomey: Liverpool got the best bargain Mario 16m great buy, Hull City great buying, Man Utd great buys but Falcao on loan and all that money, time will tell I guess, 350k a week for a loan player! The world's oldest Test cricketer Norman Gordon, the last survivor of the legendary timeless Test, passed away in Johannesburg on Tuesday at the age of 103. The fast bowler played in the timeless Test in Durban in 1939, in which England came within 42 runs of victory after 10 days of cricket but had to settle for a draw in order to catch their mail boat back home. *Manchester United recorded the highest ever gross spend by a Premier League club in a summer transfer window, splashing out a whopping £150m on new players. *The four Premier League clubs competing in this season's Champions League - Arsenal, Chelsea, Liverpool and Manchester City - had a combined gross transfer spend of £342m. That represents 40% of the aggregate gross transfer spend by Premier League clubs. *Across the other 'big five' top divisions of Europe, the next highest spending league was Spain's La Liga, with a gross spend of £425m. Serie A was next - £260m - followed by the Bundesliga with £250m and Ligue 1 with £100m. complete the loan signing of 18-year-old Belgian forward David Henen before the window closed on Monday night. Henen, a Belgian youth international, was transferred from Anderlecht to Greek side Olympiakos on deadline day but was immediately loaned to the Blues for 12 months, where he will go into the club's under-21 development squad. Ian Bell is out of England's fourth one-day international against India at Edgbaston. The Warwickshire batsman has a toe injury and will be replaced by Yorkshire's Gary Ballance. India win the toss and decide to field first in the fourth one-day international against England at a sunny Edgbaston. The tourists can secure the series by avoiding defeat today. 5 live sports extra from 10:15 BST. Austrian Marlies Schild has announced her retirement at the age of 33. She won a record 35 World Cup slalom races, claimed the World Cup slalom title four times and the super combined title in 2007. Schild won Olympic bronze at the Turin Games in 2006 and silver in Vancouver in 2010 and again this year in Sochi. Busy back page of the Scotsman with news of Celtic's £2.3m capture of striker Stefan Scepovic from Sporting Gijon, along with Scotland's plans for tackling world champions Germany in Sunday's European Championship qualifier and thoughts on Stephen Gallacher's chances of making the Ryder Cup. Emma Sanders: Daley Blind is United's signing of the summer. He's the only one that improves one of their problems. Others are panic buys! Jim Atkins: Gutted to see Welbeck sold. Rapidly developing lad who'll do well at Arsenal. Selling youth to buy ready made, not the Utd way. Churchman Duza: Radamel Falcao will add bite to Utd attack, and Daley Blind,steel to the defence and midfield. Well-done LvG. Rich Hemsley: In all this Falcao fuss....people have forgotten to mention Chesterfield signing Sam Clucas. Just bounce! "Staggering" is the Daily Telegraph's take on Falcao's wages, stating that Manchester United are paying £20m for one season's worth of football. Midfielder Mikele Leigertwood, who has played for Crystal Palace, QPR and Reading among others, is currently a free agent. He also spoke to 5 live Breakfast and said: "I was on trial at Nottingham Forest and I got injured in pre-season so I'm not really close to a move. "It's fascinating to see what is going on. Even not being directly involved, it is still exciting to watch." More Manchester United in the Daily Express, with the focus on Radamel Falcao's hefty wage. The paper says Louis van Gaal is banking on the Colombian to fire the club back into the Champions League. Mel Stein, chairman of the association of football agents, tells 5 live Breakfast his thoughts on Danny Welbeck's move to Arsenal: "It's nice to see at least one big club targeting and buying an English player. "There has been an extraordinary influx yet again of foreign players and panic buying. Whatever happened to financial fair play? "The market is so inflated at the moment, it is hard to say what is a good buy and what isn't. The shrewd managers look around for bargains and they think there are bargains abroad and that isn't necessarily so." Manchester United dominate the back page of the Daily Mirror, with a photo of a rather stern-looking Radamel Falcao en route to Old Trafford and news of England striker Danny Welbeck's exit to Arsenal. Neil Paul Davies: Man U have Leeds United written all over them, if they don't qualify for Champions League then be ready for the Glazers to strip the club of cash assets and leave it with the remaining debt. Luis Jude: Chelsea did it right, bringing the right players at the right time, at the right club. Matt Burgess: Hull signed some very good value players for their budget. Ben-Arfa a great player. Also, Southampton also signed two decent players including Toby Alderweireld who has experience at the highest levels of football. Liverpool's Raheem Sterling had to search the internet to fully understand manager Brendan Rodgers' joke about him as he had no idea who Ricky Villa or Ricky Gervais were. Rodgers said that Sterling "dribbled through the Spurs defence like Ricky Villa, but his finish was more like Ricky Gervais!" Sterling, who was born 13 years after Villa's iconic FA Cup final goal for Spurs and was only six when The Office, starring Gervais, first aired, said: "I typed both names in so I know what he meant now. He's joked about it and said it was like a baby's shot. He's given me a lot of stick for it but my finishing is something I'm improving on and will keep improving on." Sheffield Eagles announce that second-row forward Matt Garside will join London Broncos at the end of the season. beating Jo-Wilfried Tsonga 7-5 7-5 6-4 to reach the US Open quarter-finals. It was his first win over a top-10 player in 14 months and he said: "I don't feel like I'm that far away from playing my best tennis. It's still obviously a long way from trying to win the tournament, but it's only nine sets now, three matches, and I'll just try and take it one set at a time." Kevin Roberts, founding editor of Sport Business International, tells 5 live Breakfast about the record transfer window dealings: "Football is absolutely awash with money at the moment. The competition between BT Sport and Sky for the rights has resulted in a £5.5bn television deal and the benefit of being in the Premier League is so huge that, although the cost of success is huge, everybody is aware that the cost of failure is even bigger so you have got to invest in the product to be able to perform on the pitch. "They have got the money, they are going to spend it. Financial Fair Play is the most confusing thing you will come across. In very simple terms, it's meant to get clubs to work within their financial limits. It is a complex and pretty unwieldy piece of football legislation. "One of the things that we have seen in this transfer window, and more than any other in my experience, is the use of loans. That can be done for a number of reasons. One of them is strategic on the pitch but, critically as well, it is possible to use loans to defray expenses to help keep a club within the limits set by Uefa." The Queen's best racehorse Estimate, winner of Royal Ascot's Gold Cup in 2013, is among 31 international entries for the 154th running of Flat racing's Melbourne Cup in November. accidental contamination of feed with the prohibited substance morphine, is expected to race once this month before a final decision on travelling to Australia is made. South Africa won the toss and sent an under-pressure Australia in to bat in their triangular-series which also features Zimbabwe. defeat against Zimbabwe on Sunday, to slip from first to number four in the ODI rankings. The Aussies also lost captain Michael Clarke for the rest of the series to a hamstring injury. Japan's Kei Nishikori outlasted fifth-seeded Canadian Milos Raonic 4-6 7-6 (7-4) 6-7 (6-8) 7-5 6-4 to move into the US Open quarter-finals at 2:26am New York time, in the joint latest finish ever at the tournament. It spanned four hours and 19 minutes, equalling two other marathon contests played at Flushing Meadows, between Philipp Kohlscheiber and John Isner in 2012 and Mats Wilander and Mikael Pernfors in 1993. Chris Miles: Big winners of transfer deadline day has to be Hull. Diame, Hernandez, Ben Arfa, Ramirez? Quality signings. Batmanu Eboue: I have always said that Welbeck is a quality player that has been wasted out wide by Man Utd. Brilliant signing! Hassan: How are Anderson, Cleverley and Young still stealing a living at United but we were happy to let Welbeck go?! In his first interview as a Manchester United player, Radamel Falcao told MUTV it was a dream come true for him to play in the Premier League and predicted a "great" season for the new-look Red Devils. season-long loan move. "It was hard, difficult. We were waiting until the last minute but I didn't lose my faith. Now I want to say thank you to God for this. I'm very happy. "For me, it was a dream to play in the Premier League. I always wanted to be here because this league is very good, it has very good teams and Manchester United is the best team in England. Everything is perfect for me." Former Manchester United assistant manager Mike Phelan with some forthright opinions on 5 live Breakfast following the sale of Danny Welbeck to Arsenal. "Interesting how things have changed at Manchester United now. A good young kid coming through - part of the academy system - and they've decided now that might not be the way to go so they've moved him on," he says. "Obviously there is more and more money now in the game, looking further and further afield for players but probably they have lost the way of Manchester United a little bit in the fact that now rather than produce it may be the case where they're buying in." Also today, European captain Paul McGinley names his three wildcards for the Ryder Cup at Gleneagles, we'll be hearing from England boss Roy Hodgson ahead of tomorrow night's friendly with Norway, there is news from the US Open and England need to beat India at Edgbaston to keep the one-day series alive. Phil McNulty casts his eye over the transfer window dealings and how they may affect the Premier League season. OK, you're busy people. You might prefer a simple chronological list of the transfers. transfer deadline day live text. Harry Redknapp has recruited two of his former players for QPR. Who do you think has done the best business in the transfer window? Please let us know at #bbcsportsday. gross total spend in the summer transfer window. The transfer intensity may be over until January but there is plenty to digest.